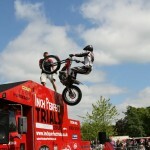 As the longest established trials display team in the UK, Inch Perfect Trials definitely know how to wow the crowd! 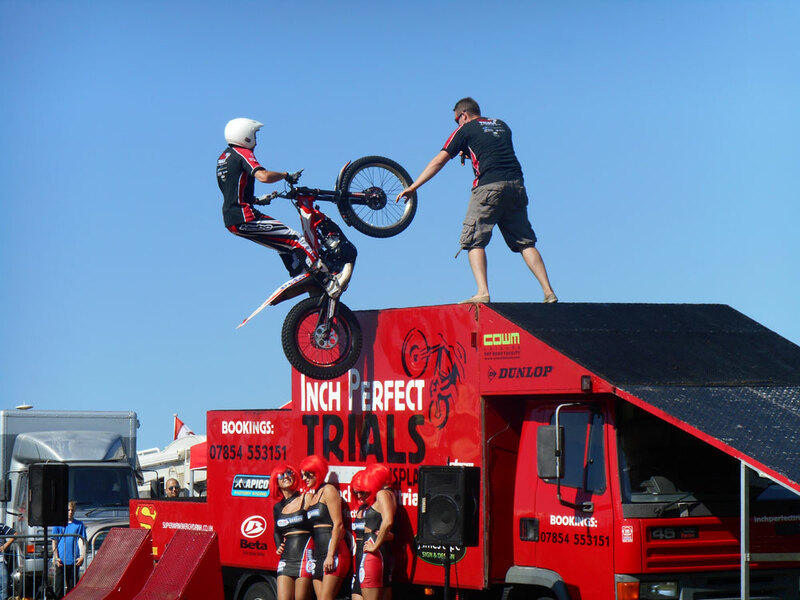 Massive jumps up vertical walls, breath-taking ‘drop offs’, a full range of freestyle tricks: wheelies, stoppies, back wheel hops, 180 degree flick turns etc., plus other spectacular stunts, combined with the showmanship and humour. 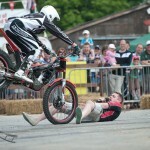 Saturday & Sunday – Morning and afternoon shows. Next post join the clubs!